Summers in the Hagerstown area can be beautiful, but there are also plenty of days when you will want to have a cool, air conditioned house to retreat to in order to break away from the heat. To ensure that your air conditioning system will always work when you need it to, Larry & Sons offers comprehensive air conditioning repair and maintenance services to all of our area clients. We have been providing trusted HVAC service in the Hagerstown area for many years, and we are committed to giving you the best service possible. So give us a call any time you are concerned about your air conditioning system’s performance or if you just want to get it tuned up for the summer. We work with all makes and models of systems, including equipment from Goodman, Amana, Bryant, Coleman, Carrier, York, Trane, and Lennox. The earlier you catch a problem in your air conditioning system, the better the chances are it will be an easy and inexpensive fix. Ignoring small inconsistencies in cooling or a moderate drop off in the effectiveness of your system will only lead to bigger problems later on down the line. And when you call us for air conditioning repair services as soon as you notice a problem or change in the functioning of your system, you reduce the risk that a problem with one part has begun to impact others as well. Some other warning signs of trouble include an unexplained spike in your energy bill, a leak from any part of the system and strange noises or smells coming from your air conditioner. Sometimes a problem can develop in your air conditioning system without showing any outward signs at all. But if you keep up with the regular air conditioning maintenance in your Hagerstown, MD area home, there is a good chance one of our technicians will find that problem and repair it before it causes any trouble at all. Our maintenance checkups consist of a thorough inspection of your entire air conditioning system to look for loose connections, worn out parts, and any debris or sediment that has been accumulating since your last service. We will make any necessary minor repairs and clean out the buildup, and we will also clean the condenser coil and change or clean any air filters you have. No matter how long it has been since your last air conditioning maintenance service, it is always a good idea. Every air conditioning system will benefit to a certain extent from this type of attention, and you will see the evidence of that benefit in lower energy bills and increased performance. You will also reduce your chances of needing emergency repairs and increase the lifespan of your air conditioning system by keeping up with these regular tune ups. All of this saves you money in the end. 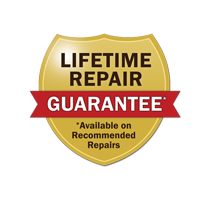 So no matter what type of air conditioning repairs you need, do not hesitate to give Larry & Sons a call today. We can work on all kinds of systems, so whether we installed your air conditioner or not, we will be glad to take over its care and maintenance. Larry & Sons provides top quality air conditioning services in Hagerstown, Frederick, and the surrounding area. We work with all brands, including Goodman, Amana, Bryant, Coleman, Carrier, York, Trane, and Lennox.